ROW: The 1K row is deemed complete once ALL rowers show the required distance, NOT when the first rower hits it. Penalise teams that fall out of perfect sync with a 20 second time penalty for every poorly executed rep. As always this workout can easily be adapted to suit the number of athletes you have in a team and/or the equipment you have available. For example If you only have three rowers so you cant get all six athletes rowing at the same time then have your six athletes complete 2K row total but have them do it in two sub teams of three and allow them to rotate as often as they like. In many ways competing the synchro row in two waves of three athletes increases the intensity and requires a greater level of strategising and communication, but synchro rowing with six athletes emphasises the need for perfect synchronicity. Tune the workout to suit your required training goal. ALL six athletes must hit the bottom of the movement with hip crease below the top of knee. There is no requirement to fully lock out with the worm overhead but the worm must pass over the head from shoulder to shoulder with each rep. You may want to experiment with the way your athletes face, but we have found that if the team doesn’t have to actually travel with the worm like in this workout, then the best option is to have all six athletes facing in towards the very centre of the worm. This will mean three facing one direction and three facing the other. These are to be completed by one athlete at a time. Rotate working athlete as required. Working athlete must change with every rep. There is no need to stay in any kind of order and there is no requirement to divide reps equally. It is perfectly acceptable for one or several athletes to complete zero reps in this part of the workout. 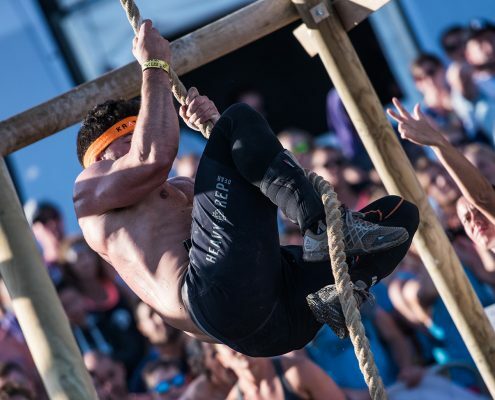 Play to individual strengths – If you have two super fast rope climbers for example then by all means have them do the lions share of the reps.
TOP TIPS: This is a fun, fast paced workout that can be really exciting when you have two or more teams racing head to head. Make a simple but solid plan with your team before you start and stick to it if possible. 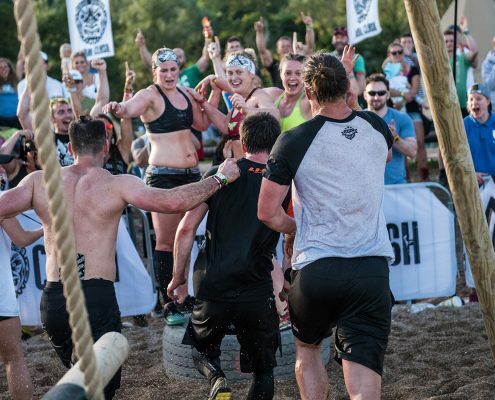 Decide on a target rep scheme for the work thrusters and discuss what is going to happen if any team members start to struggle at any point. You will need one barbell and bumper plates up to 140KG and two rowers. This workout requires good team work and communication and a well executed strategy. Play to individual strengths. Time stops when both rowers show 5,000 meters and all reps are completed. Reps and row to be completed simultaneously right from GO. Rotate athletes as required and play to individual strengths. There is no point using your stronger male athletes to complete the lighter weight reps for example – get them on the rowers early and save them for the heavy lifts later on. If you have any weaker athletes get them doing reps early and bias their contribution towards the burpees. This is a very strategic workout and when completed head to head with another team gets really exciting especially in the final minutes. All Synchro burpees must be completed by three athletes at a time. All three athletes must have chest and thighs to floor at same moment and jump and clap as one. Wide stance, narrow grip. The Sumo Deadlift shifts the emphasis on to the hips and hamstrings when compared with a conventional deadlift set up. 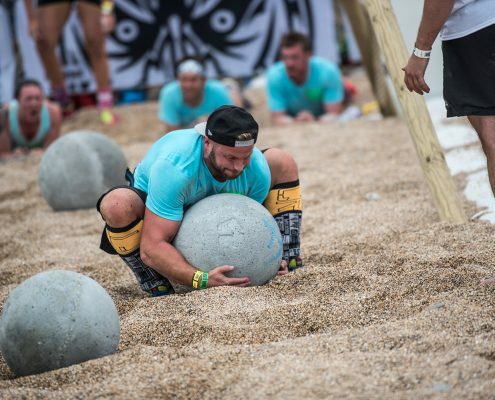 At Tribal Clash HQ we like going sumo because it simulates the position required for pulling atlas stones off the floor. 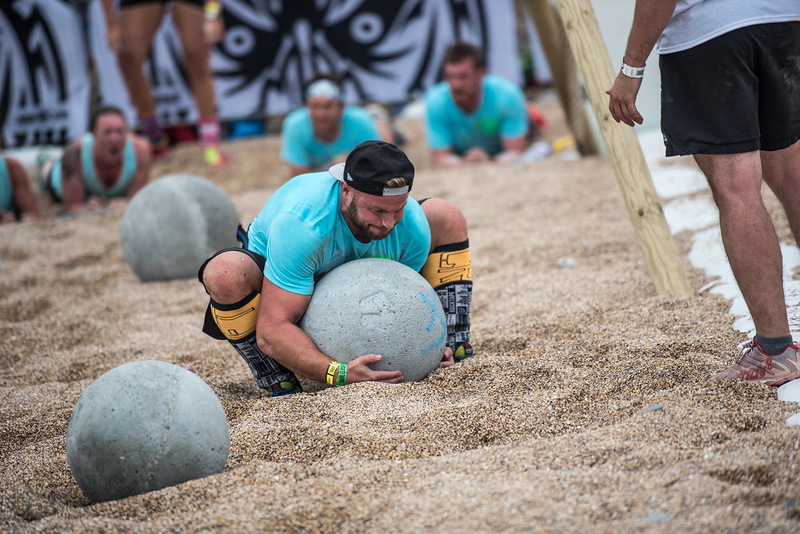 Atlas stones have featured nearly every year at Tribal Clash so if you want to get stronger at lifting stones then adding some sumo sauce into your training can only be a good thing, especially if you don’t have any actual stones to train with. 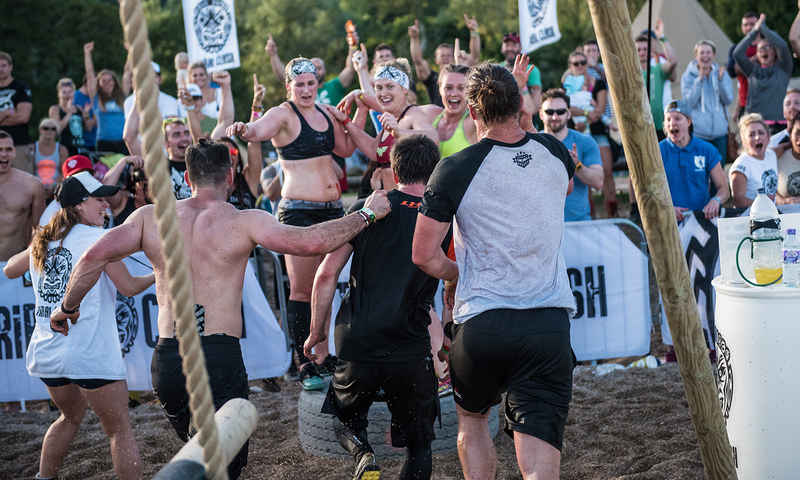 All athletes complete the worm thrusters together. All six athletes must hit bottom position (hip crease below top of knee) at the same moment. 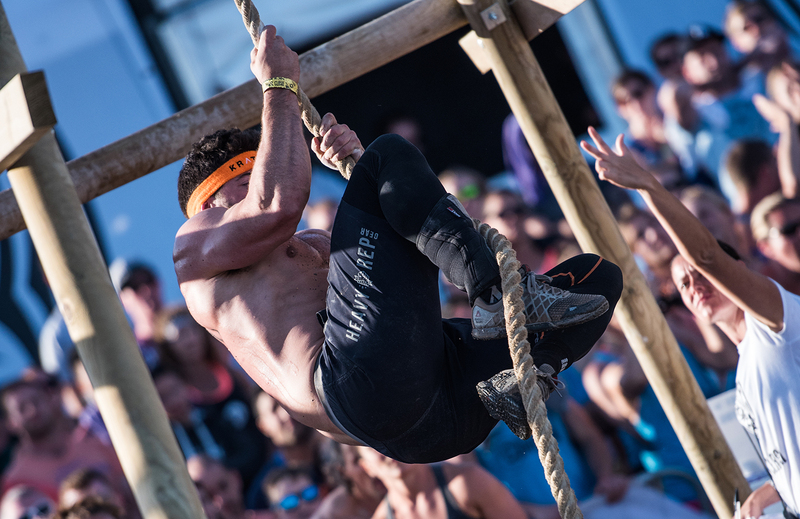 No need for full lock out over head at top of movement, but the worm must pass over head from shoulder to shoulder between reps.
Equipment needed: log worm, one rope per team. 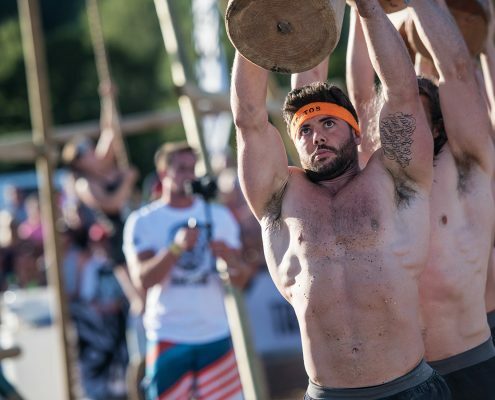 If a worm is not available, athletes can use a log, or pair athletes with one barbell per pair and three pairs have to do synchro thrusters (both grab the end of the barbell and move it from shoulder to shoulder via a squat). If no rope is available, you can do synchro pull ups, three athletes working at a time. 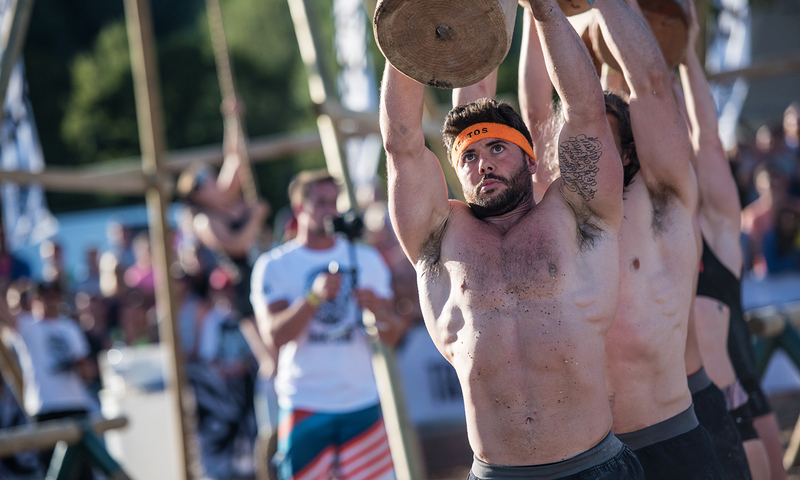 Swap athletes any way you like, chin must be over bar at the same time and arms extended at the bottom position at the same time for the rep to count.